Pomona, CA – Cal Poly Pomona was ranked at No. 6 among the top universities in the country that help low income students find financial success, according to a recent ranking. The “2017 Social Mobility Index” (SMI) developed by PayScale and CollegeNET measures the extent to which a college or university educates more economically disadvantaged students at lower tuition, so they can graduate and obtain good paying jobs. The index used five criteria for their ranking: tuition cost, the percentage of students from low-income households, graduation rates, salaries of graduates and the size of a school’s endowment. Data was collected through third-party sources such as Payscale, Inc. and the Integrated Postsecondary Education Data System (IPEDS). All California State University campuses were ranked in the top quartile of the 1,363 schools listed. 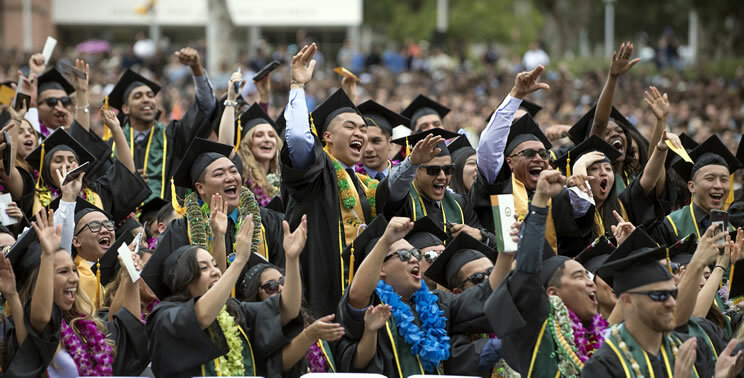 Joining Cal Poly Pomona in the top ten were the campuses in Fresno (No.3), San Jose (No. 4), Long Beach (No. 5) and Chico (No. 8). Cal Poly Pomona has also recently been ranked at No. 4 among public universities in the West by U.S. News & World Report and listed in the “Best Colleges for Your Money 2017” by Money magazine, Payscale’s 2017 Best Value Colleges, the Equality of Opportunity Project’s top 10 colleges that channel students from low- or middle-income families to the top 20 percent of American wage earners.